WASHINGTON, January 3 (Sputnik) — Alaska is not in danger of being affected by Fukushima radiation, as recent water samples failed to show a significant level of contamination, Chief Public Information Officer at Alaska Department of Environmental Conservation Ty Keltner has told Sputnik. "The State is not planning any protective measures at this time. Recently, sampling of water, fish, marine mammals and kelp were performed by different organizations or agencies and all had similar results," Keltner said Friday. "There was no detection of radiation in fish, marine mammals, kelp, water at near shore," the official specified, adding that the water samples off the coast showed extremely low levels of radiation that are by far within the acceptable range established by the Environmental Protection Agency (EPA). "The recent water samples off the coast [show] very low detection in the range of 1-2 Becquerels per cubic meter. For comparison, the EPA maximum acceptable in drinking water is 7,400 Becquerels per cubic meter," Keltner explained. The official emphasized that, based on current projections, there was no threat to human health and none was likely to occur in the future. According to Keltner, radiation was detected during sampling only thanks to the high sensitivity of analyzing equipment. A recent report published in the official journal of the United States National Academy of Sciences warned that a radioactive plume, originating from the site of the Fukushima nuclear disaster, has arrived off North American shores. According to the Center for Marine and Environmental Radioactivity, ocean currents are going to push the radioactive plume from the coast of Alaska and British Columbia, Canada, towards Hawaii in 2016. In March 2011, a tsunami caused by a devastating earthquake hit Japan's Fukushima Daiichi nuclear power plant, located approximately 250 kilometers (155 miles) north of Tokyo. Several of the plants reactors suffered a partial meltdown and radioactive material leaked from Fukushima into the atmosphere, soil and sea. 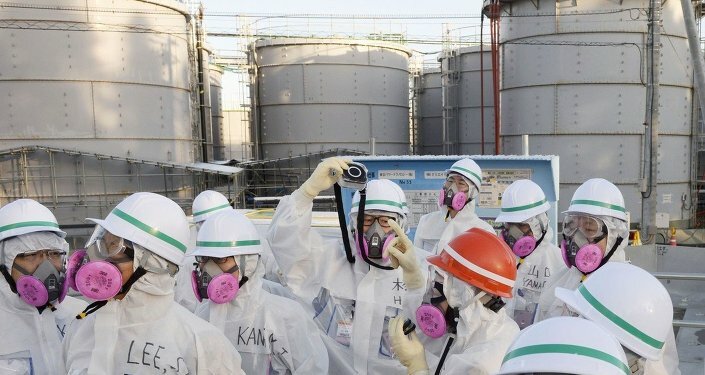 The Japanese government has said that it intends to complete Fukushima decontamination by 2017.